SharePoint Conference Attendance Is Down–Is that a problem? There are many, many, SharePoint conferences around the world. But the biggest one remains the Microsoft SharePoint Conference (SPC). It happens about every 18 months or so and it’s the official event for all things SharePoint. This year’s conference is October 3-6 in Anaheim, CA and many of the attendees are thrilled that Microsoft has rented Disneyland for the attendee party. One interesting statistic about this year’s conference (#SPC11) is that registration is rumoured to be lower than the last show. 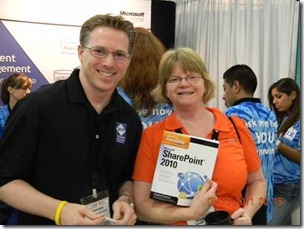 The last SharePoint conference, SPC 2009, boasted an impressive 7,400 attendees at a time when the economy was still reeling from the crash. At that show, there was a buzz (and I was contributing to it) about how SharePoint was so healthy that there was no sign of the recession in the SharePoint space. By comparison, the 2007 conference had 3,800 attendees. So, the rumoured lower attendance this year begs the question, “Is this a sign of a slow down in the SharePoint community?” and by extension, a problem that Microsoft needs to worry about? My position is that there is no issue and my rationale is threefold: the SharePoint business is healthy, this is the worst time in the SharePoint release cycle for a conference, and the SharePoint community is healthy. SharePoint was the fastest Microsoft product in history to reach $1 Billion in revenue. That’s quite an accomplishment and it might be tempting for the SharePoint group to rest on their laurels. Well, that’s not the way Microsoft works. Product group employees typically change jobs every two years or so. That’s not to say that the whole team that shipped Microsoft Office SharePoint Server 2007 (MOSS) has moved on to other projects, but most of them are likely in different roles and that means this is their first release with their current responsibilities. That’s one of the techniques at Microsoft for keeping employees engaged. Of course, there’s another key factor in the outlook for SharePoint. In short, Office 365 changes the landscape of SharePoint market potential. Office 365 is Microsoft’s cloud offering that includes SharePoint 2010. For many companies out there, the attraction to the economics of the cloud will have them taking a long hard look at the silver lining of the Office 365 cloud (yes, that’s a mangled metaphor I know, sorry). Also, as I recently discussed in a couple of Metalogix hybrid cloud webinars, there are many scenarios that organizations are looking at which involve both SharePoint Online (e.g., Office 365) and SharePoint on-premises. We’re basically in the middle of the SharePoint release cycle. It’s a terrible time for a conference since the Beta of the next version is not out yet and the current release has been out for some time. This makes the conference a tougher sell for many people who have to justify the time and expense to their managers. If you have any doubts at all about the SharePoint community, just call up Dux Raymond Sy (@meetdux)—or any of the organizers for that matter—and ask how SharePoint Saturday the Conference went in DC this year. It was roughly twice the size of the same event last year and, at the time, that was the largest SharePoint Saturday event ever. The SharePoint community is stronger than ever and it’s showing no signs of slowing. There are dozens of SharePoint experts around the world taking time out of their lives to travel to SharePoint conferences and deliver educational sessions. In fact, organizers of these events are receiving hundreds more session proposals than they can accommodate. The vibrant SharePoint community is envied by many and things are humming along just fine. 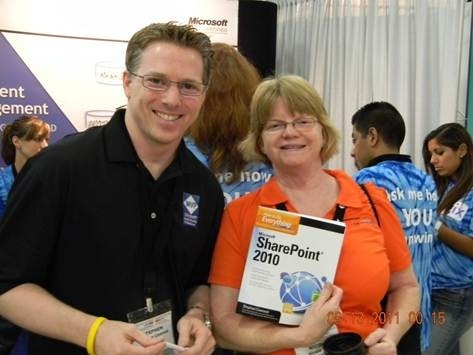 And now, my shameless plug: I’ll be doing a book signing at the Metalogix booth (we’re giving away copies of How to Do Everything: SharePoint 2010) and I’ll be co-presenting a session with Dr. Steve Marsh, on Thursday, October 6, at noon. The session is entitled, “At Last - Size Doesn’t Matter! Considerations for building a SharePoint ECM platform to accommodate TBs of Content” and will focus on three different customer scenarios that demonstrate how to free your SharePoint content. I’ll be presenting a session at the Microsoft SharePoint Conference 2011 (#SPC11) in Anaheim, CA. I’ve had the honour of speaking at this show in the past—going back to the “Portal Airlift” in 2001. Last time, at SPC09, I presented a session on upgrading/migration to SharePoint 2010. This year’s attendee party is at Disneyland, so I’m sure lots of people are excited about that. Of course, Metalogix will also have a strong presence at the big event as well. If you’re attending the show, look for the Metalogix booth in the exhibitor’s hall.